A feeble phone battery is a common first world problem, but apparently Lenovo has got the solution with an upcoming device. Lenovo reportedly has a phone coming out known as the P70t that boasts a whopping 46-day battery life, awesome right? The news comes from press material that has been leaked online by Chinese website MTKSJ and picked up by Gizmo China. Although it was apparently Lenovo that stated that its 4000mAh battery will be capable of lasting up to 46 days. However, note that this is for standby time and not an official spec, so at this point I wouldn't dump your iPhone 6 just yet. Not only does it have a beefy battery, but the P70t is also tipped to feature some great power-saving technology. When you lock the device, it will automatically shut down all background apps that are not being used to ensure it saves as much juice as possible. Aimed at the business sector, the P70t weighs 149g and measures 142mm by 71.8mm with a thickness of 8.9mm. Based on the leaked specs, the P70t will feature a 5-inch 720p OGS display screen and a 64-bit quad-core LTE processor. On top of that it has 8GB storage, 1GB RAM and sports a 5MP selfie-snapping camera and 13 MP rear-facing camera. According to Vietnamese blog Odao, the mid-range smartphone has already been certified by TENAA for sale in China and is poised to hit stores “soon” in black and white. 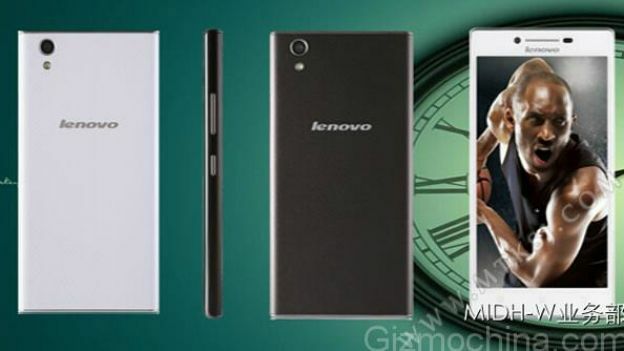 The Lenovo P70t may be officially announced in the coming weeks or we could see it debut at CES 2015 next month.